I am so excited about this month’s giveaway prize. I bought one on Amazon last week for me and I am in love! I hope you’ll find it of great use as I do mine. But first, let’s take a quick look at September’s traffic and income numbers. As you can see from the graph, traffic has been pretty steady at about 1 million pageviews a month. 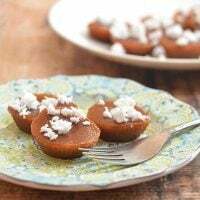 Considering I haven’t been posting as frequently as I used to, I am glad that the 450-plus recipes we already have on the blog continue to buoy our traffic numbers. I know I should be more consistent especially since I am now a full-time blogger and time is no longer an issue but in my defense, I am actually working a lot behind the scenes. In fact, I am currently in the midst of importing recipes on both my blogs to a new plug-in and this means going through 700-plus recipes! September income was, to describe in one word, amazing! Not only did I have a 37% increase in revenue from the previous month, Kawaling Pinoy hit an all-time high! This significant jump even without a significant change in pageviews was because the last months of the year are usually the most lucrative in terms of advertising. 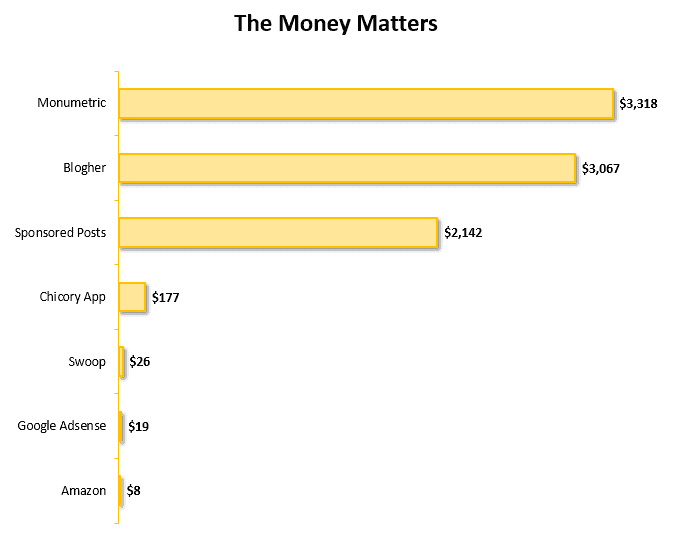 I was so glad to see both my major ad networks, Monumetric and Blogher, come in with strong numbers. 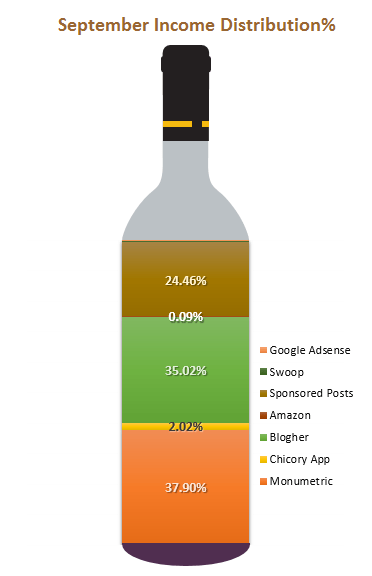 As you can see from the income distribution above, 24% of the month’s revenue was from sponsored posts. Like I said before, I love doing sponsored posts not only for the additional revenue they bring but also because I am able to share with you some of my favorite brands. This type of monetization does bring a healthy boost of income yet as tempting it may be to accept all the opportunities presented to me, I only work with products I’ve personally tried or would actually buy for myself. In November, one of the sponsored posts I did was for Meow Mix and, unfortunately, I did receive a rather harsh backlash from that. One Kawaling Pinoy recipe unsubscribed because I posted about “animal food.” I usually take things like this in stride because firstly, we cannot please everyone regardless of how we much we try and secondly, Kawaling Pinoy readers as a whole have been very pleasant and supportive. In the four years of Kawaling Pinoy, I can count on my fingers the comments and feedback you can consider rude or out of line. 99.9% of your interactions with me have been encouraging and appreciative and I thank you for that. Blogging has changed my life in more ways than I could have ever imagined. Every day I wake up grateful. To be able to do what I love and to be able to own my own business were dreams I hoped for but never really expected to happen. I am going home to the Philippines for a vacation without having to ask approval from a boss. I am going to spend precious time with my mother without having to worry if I still have a job when I come back. This freedom afforded me through blogging is priceless. Every month, I share with you these reports because I am hoping the little things I am learning along the way will be of good use to my fellow bloggers and will serve as an inspiration to those who are thinking of starting their own blogs but are hesitant about making the jump. 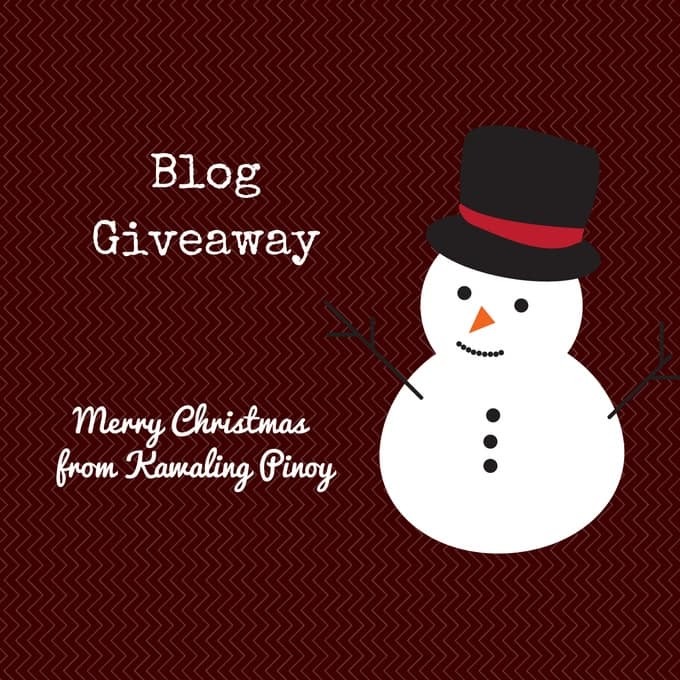 This month, I am going to take it a step further with a FREE blog giveaway! One year of free web hosting and one year of free domain registration. Please note that this giveaway prize is not transferable and the winner cannot opt for the cash value. If blogging is not your thing, don’t fret! 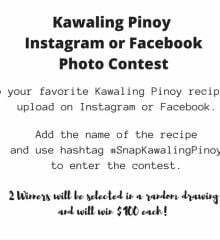 Kawaling Pinoy is also giving away one Gourmia 9-in- 1 Air Fryer & Multicooker! If you love the taste and texture of fried foods but don’t want the extra calories and fat from deep-frying, join the giveaway for a chance to win this cool kitchen appliance! 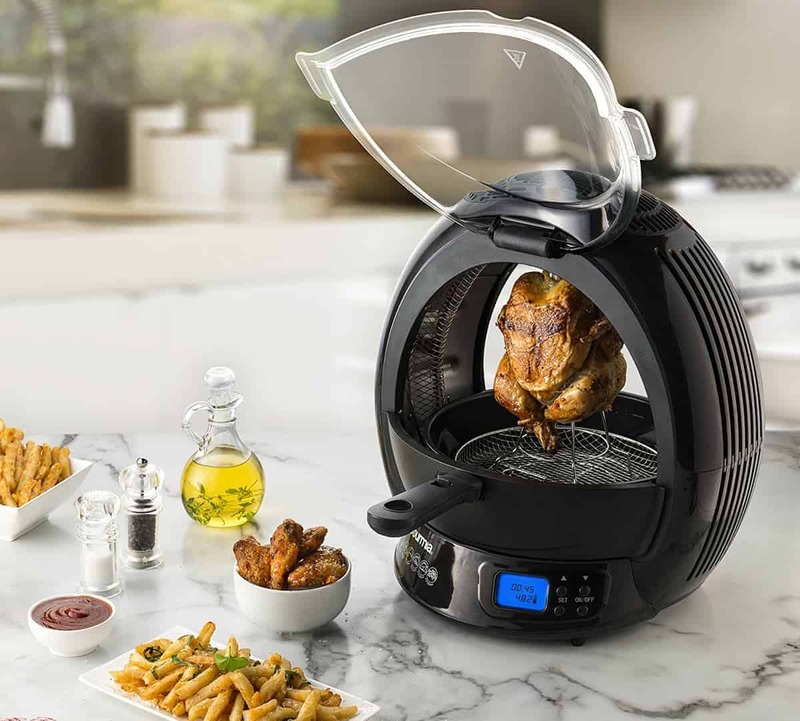 MULTIPLE SETTINGS: This convenient multi fryer does the job of both a multi cooker & air fryer. 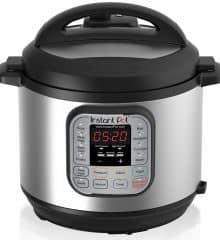 Enjoy several convenient cooking functions including stir fry, boil, bake, saute and roast. GET PERFECT RESULTS: Powerful halogen heating with clear lid & internal lights, adjustable temperature & a LED timer with sound alerts ensure you can enjoy perfectly crisp food every time. EASY CLEAN: Innovatively designed to give you utmost convenience. Removable covers, stir-fry basket, rotisserie grill and stir paddle make cleaning the fryer an absolute breeze. Before we proceed to the giveaway rules, here are the winners of our $200 Holiday Gift Box Giveaway and #SnapKawalingPinoy photo contest. 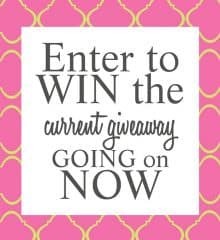 Please note that due to the web hosting giveaway, I will not be drawing winners for the photo contest this month. However, there are two more sweepstakes going on here at Kawaling Pinoy courtesy of Meow Mix and a2 Milk®! You can enter the sweepstakes here and here for a chance to win $100 Visa Gift cards. 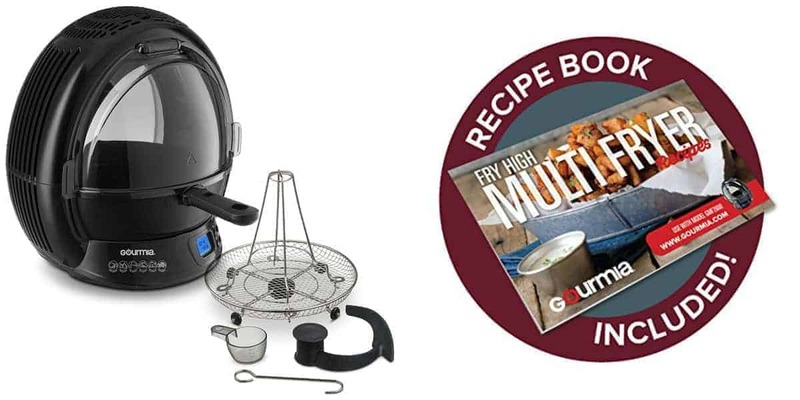 We are drawing one (1) winner and for the giveaway prize, the winner will receive a Gourmia GMF2600 9-in- 1 Air Fryer & Multicooker. If the winner is outside of the U.S., cash value of $130 will be sent via Paypal. Please note that Kawaling Pinoy giveaways are wholly supported by me and I do not receive any compensation for the products I present as prizes. Giveaway ends 11 PM Pacific Time on Wednesday, December 21, 2016. The winner will be selected via Random.org. The winner will be notified via email and will be announced here on or after Friday, December 23, 2016. The winner must respond within 48 hours or an alternate winner will be selected. No purchase necessary to enter or win. I’m a first time reader from Oman. I was searching about ‘filipino food blog’ then i clicked into you. And so far no doubt, all your recipes looks so good and easy to make. What we prepared on Christmas was Buttered Shrimp, Roasted chicken, Fried Tilapia fish and cake. Thank you Lalaine. Keep posting delicious recipes. On Christmas we serve ham, turkey, stuffing, mashed potatoes and gravy, 3 different vegetables, cranberry sauce, rolls and butter, and too many desserts to name. My family always has lots of mashed potatoes, casseroles, and bread! I am serving turkey and slow cooker stuffing — yum! We change up the main entree every year, sometimes we have 2 meats depending on how many people are going to join us. We serve ham, turkey, smoked brisket or roast chicken, and then we have a large variety of vegetables and desserts. I’ll be making fruit salad(w/ lots of lychee!!) and red velvet cake for Christmas! I always serve a roasted turkey with mashed potatoes, baked carrots, corn and coleslaw. With coffee cake for dessert. I am planning to cook japchae, mango graham cake and roasted chicken this coming Christmas. Merry Christmas to all :). hi, for christmas we usually have pancit for long life, humba, roasted chicken or lechon and for dessert salad, cake and fruits. A turkey, honey butter popovers, mashed potatoes, and lots of delicious desserts. I will be cooking the following for Christmas: rellenong bangus, menudo, pancit, shanghai, skewer pork BBQ n macaroni cream soup. And as usual, fruit salad and leche flan is the dessert. We have turkey and mashed potatoes with green beans. For dessert, we have pumpkin pie. We do a traditional American meal with roasted turkey, homemade bread rolls, several veggie dishes, and apple pie and usually one or two cakes. As a general rule we have Ham either baked or boiled dinner! Every once in a while we will switch it up with a Turkey instead 🙂 Of course the boiled dinner has its own things to go along with it! Good Luck everybody & Merry Christmas! I think we will be having roast beef for Christmas this year as the meat. I will be serving the traditional side dishes, such as mashed potatoes, gravy, stuffing, noodles, and corn. This Christmas I will be preparing Baked Macaroni and Ham. we like vegetable rice, fried chicken, salad, and cakes. I serve Turkey with stuffing, mashed potatoes, gravy, brussel sprouts in white sauce, and loads of cookies and desserts. This Christmas we are going to having “pintade farcie” with roast veg, french, kiwi & je ne sais quoi! Being an interfaith family, celebrating both Hanukkah and Christmas we serve latke (potato pancake), pancit bihon, chicken mandi (middle easter grilled chicken with saffron, cinammon, garlic and onion) over basmati saffron rice. 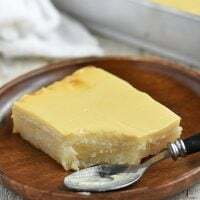 For dessert, I will bake egg pie with a hint of orange blossom, brazo de mercedes infused with saffron and cardamom, buko pie and macaflan. Thanks for sharing your recipes, and most of all your techniques. Have a happy holidays and a blessed new year to you and your family. For Christmas breakfast we have a frittata casserole, fresh baked rolls and pastries, and sparkling cider. For Christmas dinner we have ham, brisket, stuffing, green bean casserole, mashed potatoes, yams, pickles and olives and a green salad. But for Sim Bang Gabi, we have lechon, pancit, lumpia, mango cake, purple yam cakes, fresh fruit and a soup whose name I don’t remember, along with whatever friends bring along with them. I do the turkey, cabbage rolls and perogies with all the trimmings! On Christmas day I will serve Kare-Kare, dinuguan, honey ham, morcon, nilagang pasko and lechon kawali. For the desserts i will nake buko pandan and ube halaya. Have a happy holidays everyone! We usually serve a sirloin tip roast made exactly how my grandfather used to. It’s a recipe that’s been passed on to my mother and now to me and making it for Christmas is a family tradition. This Christmas day I am planning to serve Qunioa Pancakes for breakfast, Fried chicken,roasted vegetables and fried rice for lunch and deep fried burger with spicy fries for dinner. Also planning to make an Apple Pie. On Christmas Day, I usually serve a roast chicken since my family prefer it over turkey. We do the traditional Turkey and ham. we have almost 20 people over and it is quite the chore! But nothing beats having family gathered together as all our lives are busy and nothing beats laughing about old memories with family! This coming Christmas, I’ll be serving pork belly roll, pansit and buko pandan. We’ll be serving pansit, lumpiang shanghai, fruit salad, and cupcakes this Christmas. Oh, and I forgot chicken dinuguan too! This 2016 Christmas, since I am pregnact, I will be serving my cheezy spaghetti which is my all time favorite food. Fortunately, my husband loves it! I will be serving a Spiral Cooked Ham, scalloped potatoes, Honey glazed carrots, cranberries and rolls on Christmas Day! I serve ham, mashed potatoes, egg noodles, stuffing, gravy, green bean, and pie (Apple & pumpkin). This Christmas will be serving lechon sa hurno , rice cake, japchae and bulalo. Chicken Sotanghon were a favorite of my late Mother which she always cook every holiday season. we love fried chicken. i’m planning to make a touch of korean just to make it special this Christmas. Our traditional meal starts with a soup (lobster bisque or french onion), virginia ham, and side dishes like mashed potatoes, green beans, sweeet potatoes, corn, asparagus and cranberry relish. Beef mechado or beef kaldereta, embutido, any pasta or noodle dish and of course, fruit salad and macaroni salad. We serve Prime Rib Roast, with Mushroom Gravy, Yorkshire Pudding, Mashed Potatoes and New York Cheesecake for dessert. I serve on Christmas Day a huge meal of Chinese food! I know its odd but its the ONLY food my WHOLE family can all agree on, we make/order just about everything we can think of along with a huge pot of won ton soup and a huge platter of homemade egg rolls! YUMMO!! Thank you and Happy Holidays!! On Christmas Day I serve French Toast for breakfast then our big meal consists of Seafood Gumbo with Rice and of course a Turkey with cornbread dressing. Hi Lalaine. I usually have a roast turkey with roast potatoes and salad and a ham on Christmas Day, on account of my Aussie husband and living in Australia. 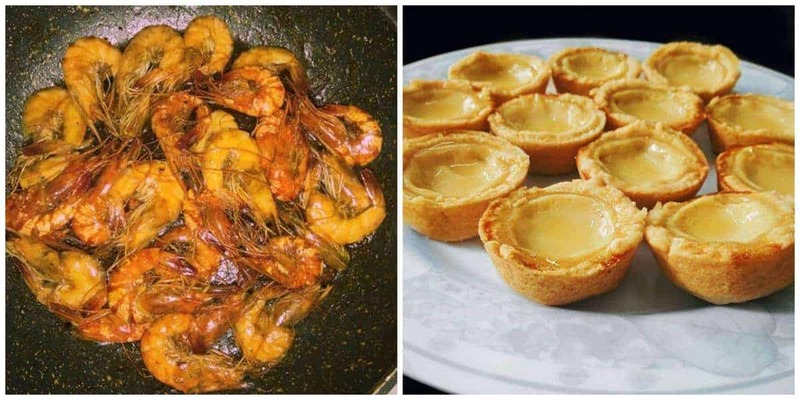 But on Boxing Day, I make Pinoy food – pancit (Canton), lumpiang shanghai, lechon kawali and gambas this year, all thanks to your awesome recipes 🙂 Thanks dear, and Merry Christmas! I enjoy visiting “Kawaling Pinoy”, the site is very neat and well organized. The recipes are great. Thanks. What food do you serve on Christmas day….turkey and all the trimmings!!! I serve deep fried cornish hen and slow cooker ham! It’s been steak & mashed potatoes most years, but for me it’s anything that’s vegetarian/vegan. Our Christmas dinner consists of Cocquet St. Jaque (scappops in wine sauce), red ppepers and green snow peas. Hi! I am a recent follower of your blog. I was a regular follower of Panlasang Pinoy, but as I was checking for some alternative, Pinoy-flavored cooking sites, I found yours! 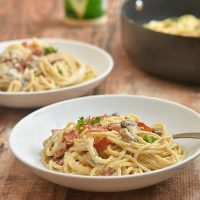 I love how you give some twists to the usually simple recipes. Anyway, I am currently in Dubai at the moment, but what I miss the most during holiday seasons at home was my mom’s Arroz a la Valenciana, among others. Very few people I know can cook it, so I was happy to have it again last Christmas when we went home for the holidays. One of my favorite posts here is the one about Benny. Being a cat family that we are, I know how you feel about Benny, that it is the same way I feel about our fur baby, Gold. 🙂 She sorta picked us as well, decided that she wants us to be her family. Twice, when she was allowed to go out, she did not come home for days and those were very tough days for me. I even went to chruch and lighted candles for her return, and she did! Hugs to you and Benny! And thank you for sharing him and his storyto us. And for my contest entry, we usualy have spaghetti, lumpia, sisig, ham, cakes and ice cream. Thank you for the chance! We usually have spaghetti, lumpia, cake & salad for Christmas. We serve turkey & cranberries. Yum. I usually serve chicken for Christmas, but since my grandmother is going to be here she promised to make her special recipe ham and I’m super excited about it! For dessert I served bico and fruit salad. 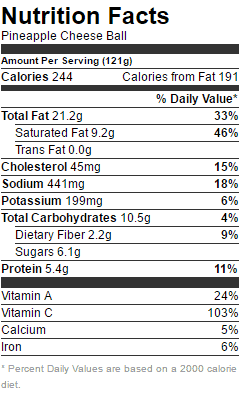 On Christmas Day, one of the options served on the table is shrimp and it is probably my favorite choice available. I’m in charge of desserts, it’s interesting to create something new in haven’t tried every Christmas! We serve a generous dish of thankfulness and a side dish of blessings! Happy holidays to everyone! i like to eat pork and chicken with rice. there will also be some vegetable of course. We serve a Baked Ham, Mashed Potatoes, Veggies and Cranberries. I would serve fried turkey if I win this wonderful , quality prize. Even if we’re based now in U.S i make sure that i still cook Filipino food during Christmas. I usually do Kare-kare and crispy pata. 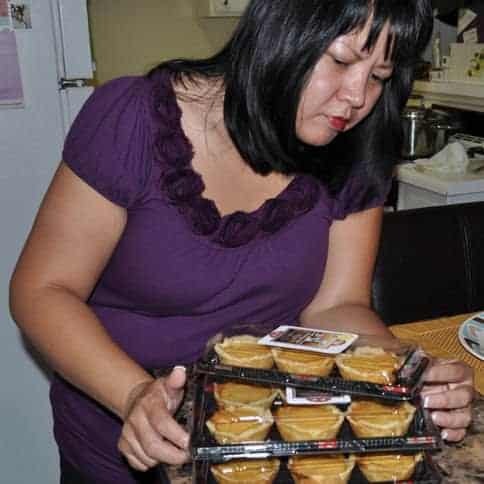 I like to serve myself humble pie and perhaps fry up a hamburger or chicken. I live alone, with family members living far away. I have no tree, no presents, and no special meal. I like to eat boeuf salad and pork , chicken , turkey meal at Christmas Dinner with my family. These are always present in our Noche Buena table – Roasted Chicken, Baked Pork Ribs and Creamy Beef. We serve pumpkin pie for Christmas! We always have turkey at my mother in law’s house.Sometimes I bring a cupcakes and deviled eggs.Have a Merry Christmas and Happy New Year! hi, merry Christmas! for Christmas this time I will try to prepare from your kawaling pinoy recipe, creamy lemongrass roast chicken. I want to serve something new. My family tends to mix things up on the holidays. We always have Grahams crackers refrigerated cake and macaroni salad. Its a tradition in our home! 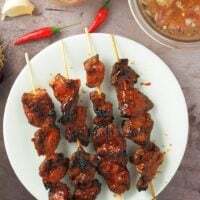 We usually serve fried chicken Grilled Liempo BBq spaghetti some sweet dissert salad cake and ice cream. My in-laws who are not Filipinos crave for lumpia, beef calderetta, and pancit! They basically expect these dishes in all my parties. I will be preparing pork barbeque, chicken pastel, and macaroni salad. Prime rib with noodle pudding, corn, rice, green beans. We definitely go North American traditional with turkey, stuffing, mashed potatoes and gravy. Our family is weird and serves seafood for luck on Christmas Day. I usually make a pot of boiled shrimp, red potatoes and corn on the cob. 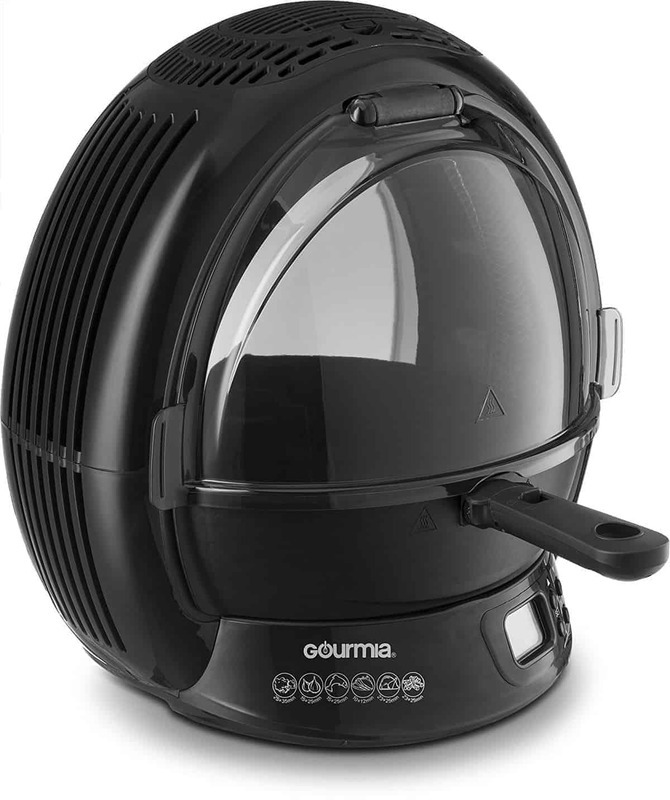 Next year I might try fried shrimp in a Gourmia Air-Fryer. We serve brown sugar glazed turkey, green bean and sweet potato casserole. I just made ribs last night from one of your receipes and my partner suggesting making them for Christmas! I might just do that. During Christmas there is always a ham in our table. I also cook spaghetti, which my kids favorite food, lumpia and roasted chicken. For the desserts I serve leche flan and buko salad. I will cook chicken , pork ribs, soup and some dessert on Christmas Day! I ususally cook macaroni soup/sopas, bake puto and ham..Yumm! I serve paella valenciana and roasted chicken on Christmas day..
I’m looking forward to my aunt’s potato salad. Just thinking about it makes my stomach rumble. Great giveaway once again! You can’t please them all, but I surely am a very, very satisfied subcriber! Thanks for the lessons (blogging tips and recipes) and keep it up! I serve baked Ham on Christmas day. We should always have ham for Christmas, I guess this is my American husband’s family tradition. But I also cook pancit and lumpia because his family, who we rarely get to see, love them! We serve Turkey with homemade gravy,mashed potatoes,carrots,turnips and fresh baked tea biscuits. Our all-time favorite Christmas food is Patatim! This has always been a staple food during this festive season plus the family favorite, as we call it, diabetic fruit salad because it is too sweet which we love! Hi, food we serve on Christmas day is of course the Filipino ham, every Christmas we have to have ham on our table or else Christmas won’t be complete without it. It has been a tradition in my family to have ham on Christmas day since I was little. Hi, for Christmas, I usually prepare and serve the foods requested by my kids. Of course, spaghetti is their top request, I also serve grilled chicken, pork bbq, glazed ham, salad and cake. We all enjoy the food after attending the mass before noche buena. We serve Prime Rib for Christmas dinner. We also have a big family breakfast at my sister’s house.